Since Catrice's new permanent line still hasn't arrived at my drugstore yet, I decided I had to pick up another soon-to-be discontinued product on sale. It's a lipstick from their Ultimate Color line, and it's called Call The Ambulance. The color's a bright red with a slight pink undertone and some sparse glitter, that is a bit chunky. It doesn't apply all the way opaque, and that makes it a nice day-appropriate red lipstick. 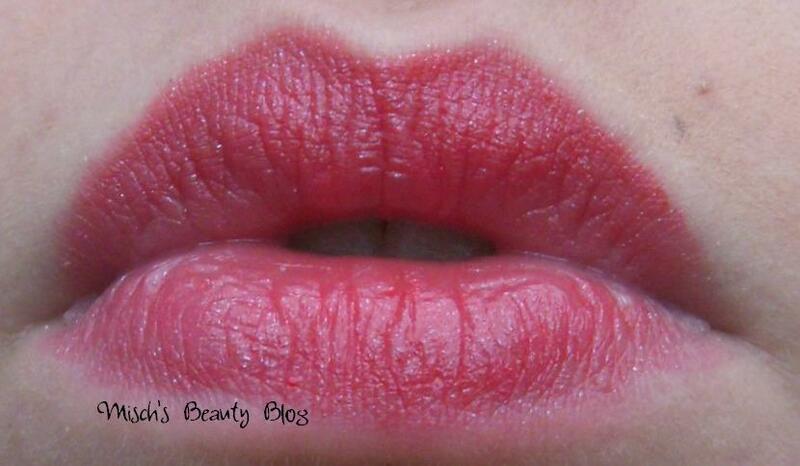 I love wearing a toned-down red lips anyway, and this one is super pretty. And I got it for just 1,75 Euros! Big yay :D Of course I still have to try it out, but I thought that swatches could help you with the decision of whether to pick this one up or not. It still has the old shape, they've been changing that to a normal one lately. Does anyone of you own this lipstick? Do you think a review would still be helpful, even if it will be discontinued soon? Seems a bit sheer, isn't it? I'm not very fond of Essence lipsticks and have only tried my sister's brown Catrice lipstick once. P2 has way better lipsticks in general, I think. All the lipsticks of this line are going to be discntinued? no, luckily not! just some colors!